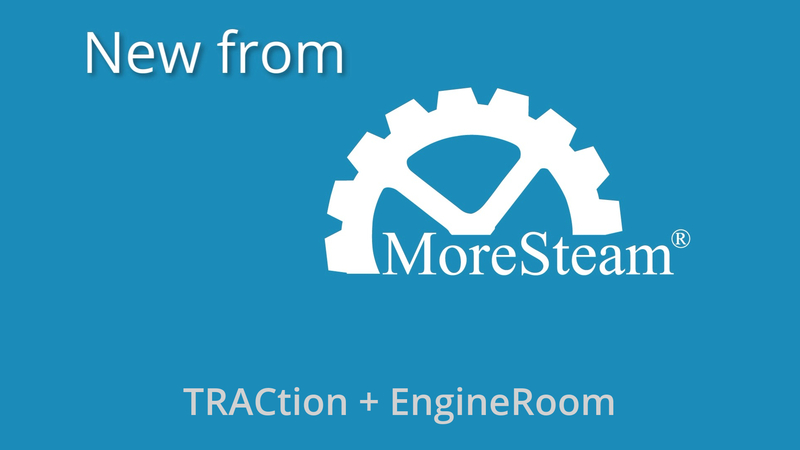 Our TRACtion development team is going 'full steam ahead' to continuously improve your user experience. Here are some highlights of recently released new features and enhancements. 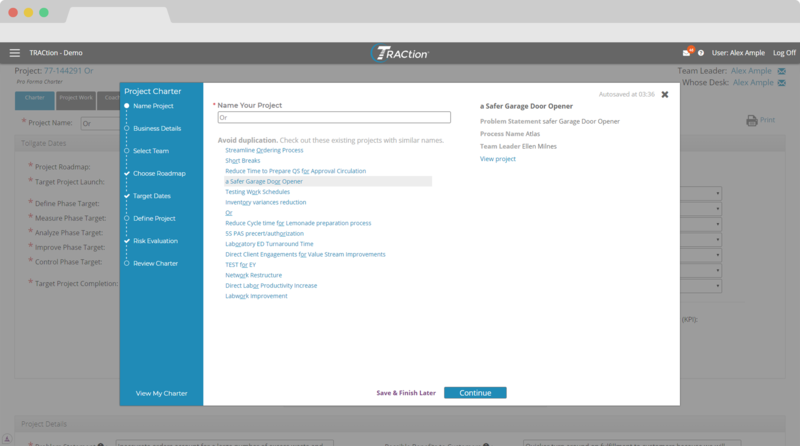 TRACtion's new Wizard will help you avoid problems frequently found in project charters. Quickly create a clear, concise project plan to jump start your project. Don't crash before you even get started! Depend on TRACtion's Concierge to assist you in smoothly advancing your project work. The Concierge feature explains the functions available within your role and then guides you through a tour from project setup to approval. It provides helpful tips and highlights to help you work efficiently and effectively. 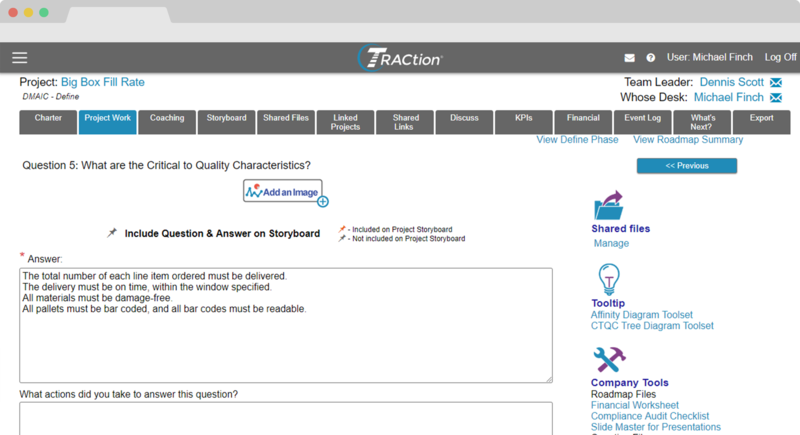 TRACtion's storyboard feature now includes additional options for one-page reports. Visualize your problem-solving approach with one of the new dynamic A3 templates or start from scratch and create your own format. The A3 helps to eliminate the wasteful re-entering of information - just drag & drop elements you've already created in EngineRoom and TRACtion. Less time. Less work. Big impact. Provide the most commonly used company references right when and where teams are doing their project work. Now, team members can access company-specific templates, checklists, and guides that you provide. Resources can be made available for an entire roadmap, a single phase, or even a specific question. 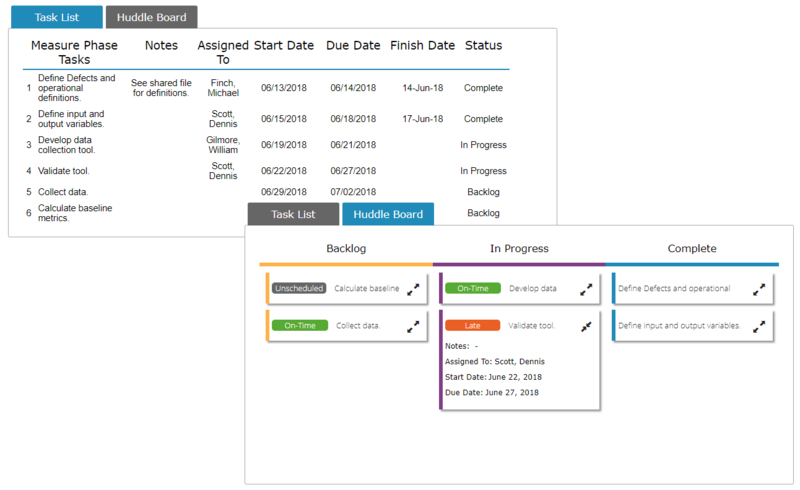 The huddle board view of project tasks allows a team to conduct a standup meeting in TRACtion with a simple visual display of work status. At a glance, you can see completed tasks, work-in-progress, and what's waiting in queue. 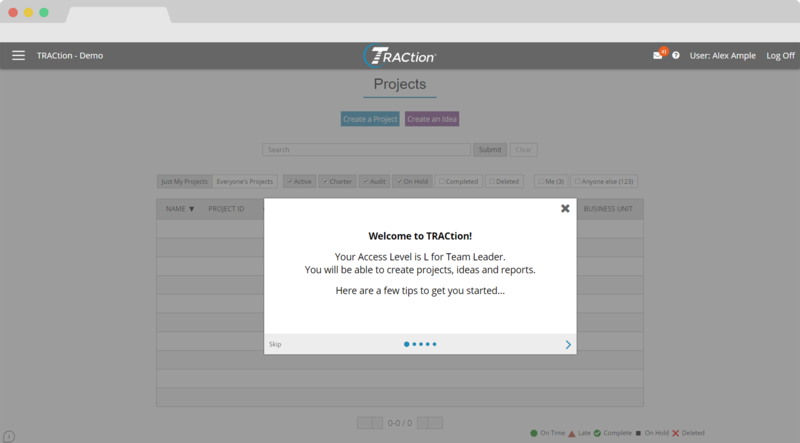 Make your projects' key metrics more visible and accessible by adding them to your TRACtion projects. 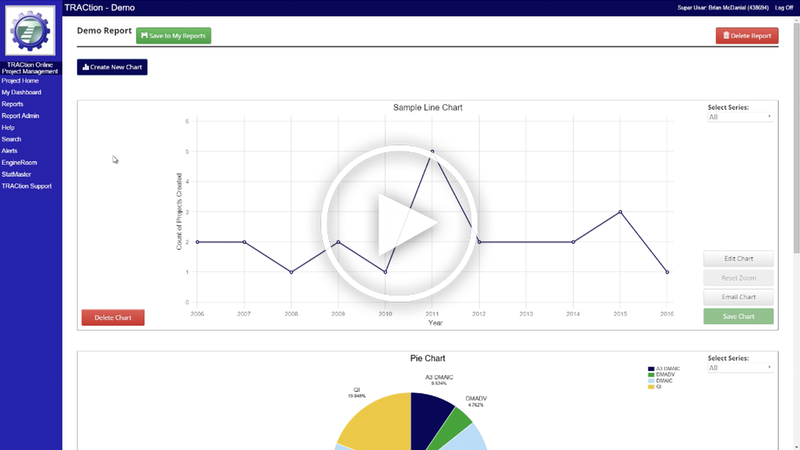 View graphical summaries for a quick progress overview or expand the display to dig into the data tables. We've redesigned TRACtion's Home Page and simplified its navigation. Most commonly used functions are now more visible and you can filter your view. Click on the image below to see an enlarged view of TRACtion's new look. 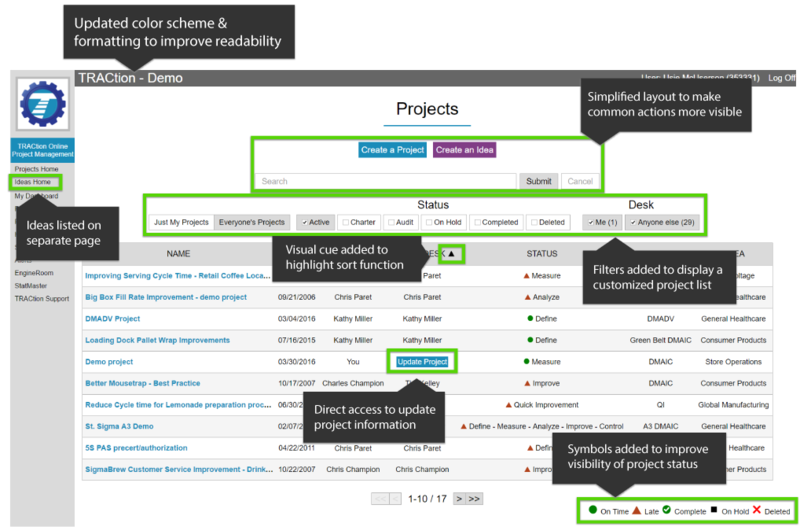 Want to see a summary of project cycle times or status by roadmap? Wondering about the distribution of cost savings across projects? Upgrades to the charting feature in TRACtion reports provide new options so you can easily visualize data in stacked bar charts, pie charts, scatter plots, and bubble charts ... and immediately share it in an email. Quick and simple. Ensure that project team members have the right resources at the right time. No need to hunt down company files and online information. Helpful references such as budget worksheets, regulatory checklists, customer survey data, and benchmarking reports can be loaded in any of the TRACtion roadmaps. Use the Wizard to guide you through the completion of a project charter. Don't need the prompts? 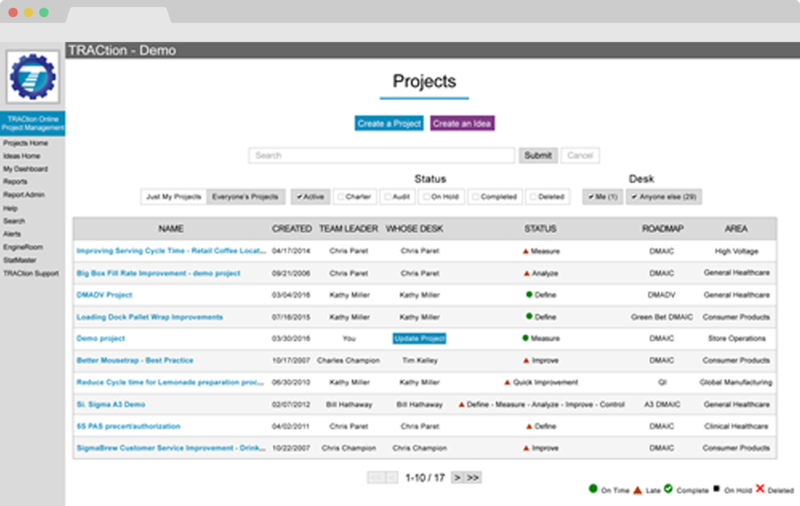 You can close out of the Wizard at any time and work directly on the project charter page. Your work is automatically saved. Enjoy the quick tour of TRACtion's project management workflow with its Concierge. See it the first time you enter and then call it up when you need a refresher. 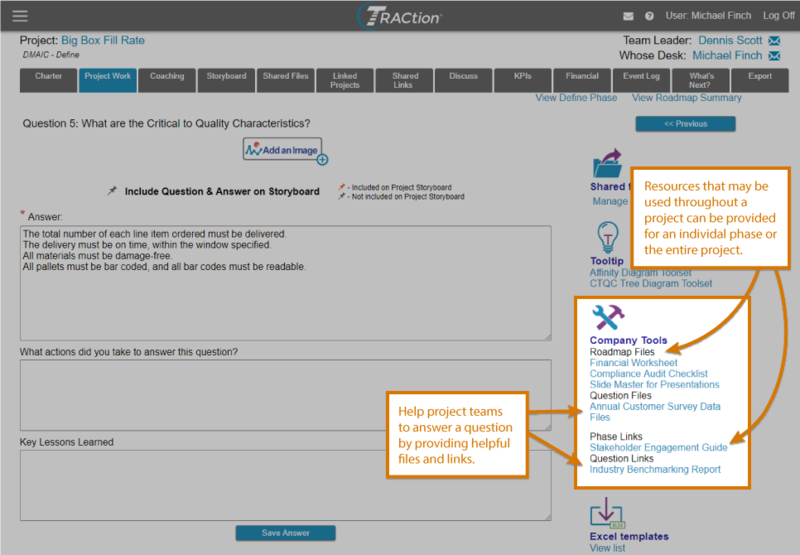 Users of both TRACtion & EngineRoom can link their EngineRoom studies directly to a specific TRACtion project. 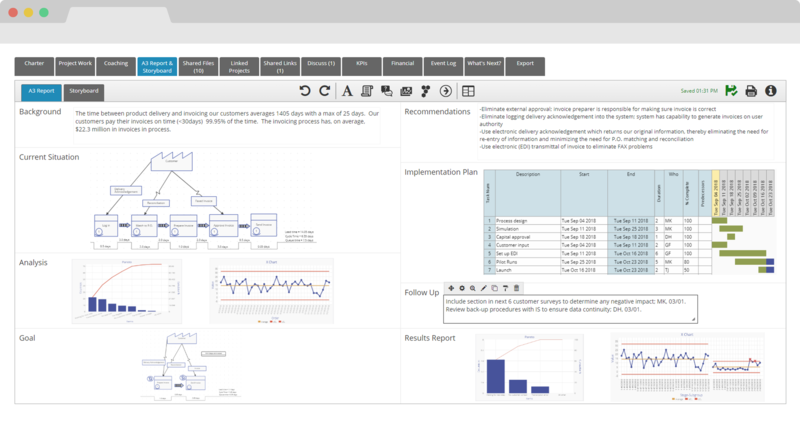 This provides you with a seamless project execution platform for all types of process improvement projects! No more uploading individual files or worrying about 'version control' -- your latest work will be available in TRACtion. 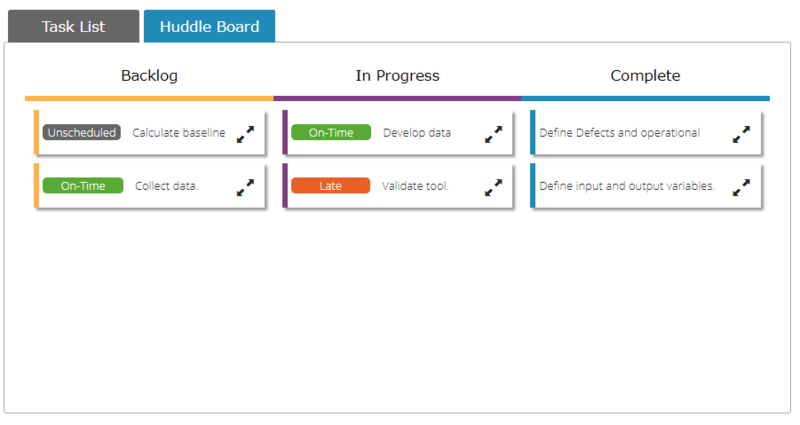 Choose how you view your project tasks in either a traditional list or huddle board format. In either view, you can edit items and notifications will be sent if assignments are updated. Communicate critical information with an A3 report that consolidates a succinct description of the problem, analysis, targeted condition and then shows a high-level implementation plan and results. Does your organization use a hybrid version of the traditional A3 format? 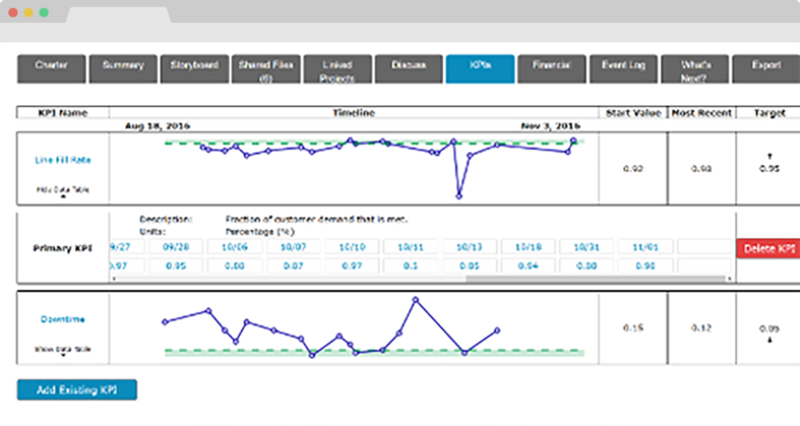 No problem - build your own A3 report in TRACtion with the full functionality of the standard templates.